February 17th is World Cat Day (Dzień Kota), celebrated by much of Europe, including Poland. It’s the purr-fect time to think about bringing a furry friend into your own life. Fortunately, Krakow has an animal shelter which makes it easy to adopt lost cats that are looking for a home, and they’re already sterilized for free. It’s called KTOZ Schronisko dla Bezdomnych Zwierząt w Krakowie (Shelter for Homeless Animals in Krakow), and it’s located at ul. Rybna 3, a bit west of Salwator. Be prepared. It might seem obvious that owning a pet is a serious responsibility. But countless pets are abandoned because people take them in on a whim and then get bored. Don’t be one of those people! Remember, an average housecat lives 13-17 years – though many live into their 20s, and the oldest cat on record, Creme Puff, lived for just over 38 years. Me-wow! If you’re worried about this, consider taking one of the older cats from the shelter – they need love too. Drive if you can for pick-up. Ul. Rybna is on the outskirts of Krakow, with bus service that leaves something to be desired. Also, cats may become nervous on the road, and that could be even worse on public transport. Be patient. It might take some time for your cat to get used to your new home, especially if it’s used to living on the street. But after a few days, it should start to become comfortable. Watch out for their health. 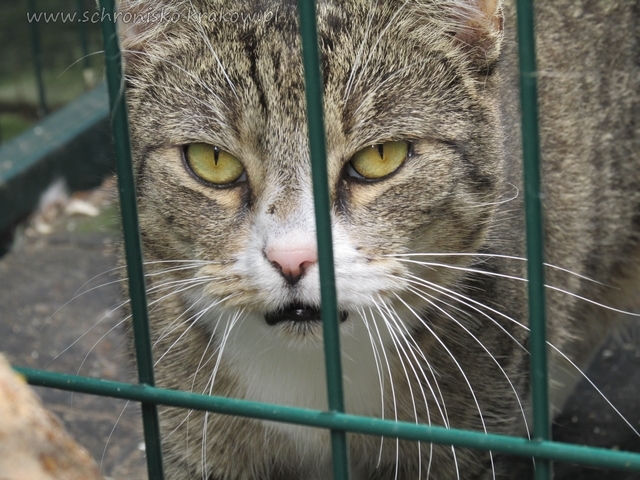 It’s inevitable that living on the street and then in a crowded shelter that cats may pick up an illness. You should take your new friend to a vet anyway (there are many who speak English in Krakow), but be on special lookout in the beginning for symptoms of sickness. It might seem like a lot to think about – and it is. 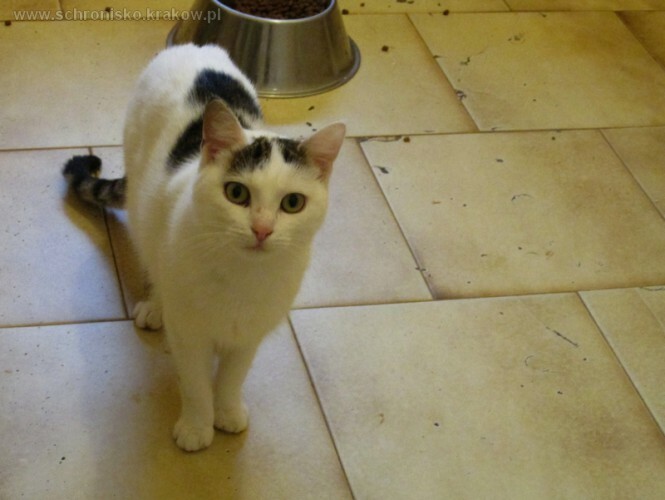 But taking in a shelter cat can be a rewarding friendship for you, a chance at a second life for an animal that has fallen on hard times, and a slight ease on the creaking budget of the city of Krakow. A beautiful, big tomcat. He came to us in October 2016. It took a long time for Olo to feel safe with us – at the beginning, it seemed that he did not like to be petted. Now, however, just sit in the room with him for a moment and he will run up and rub your legs asking to be stroked. Other cats do not bother him. Aldonka has been waiting far too long for a home. She joined the shelter in March 2017 as a wild kitten. She is slow to trust people, but she feels great in the company of other cats. A patient person who already has one cat might be the perfect home for her. 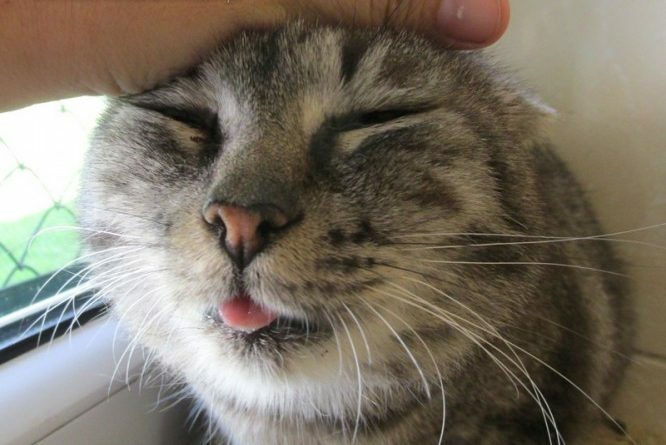 If you only give her a little time, she will eventually come to you to be petted or have fun. 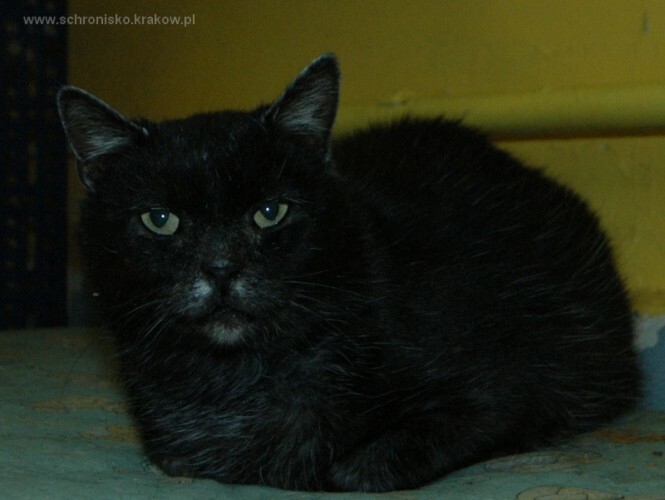 When he came to the shelter, he did not trust people and did not allow himself to be petted. He was probably a “cellar cat” who had not had much contact with people before. Fortunately, he let us convince him, and you can see that stroking makes him happy. 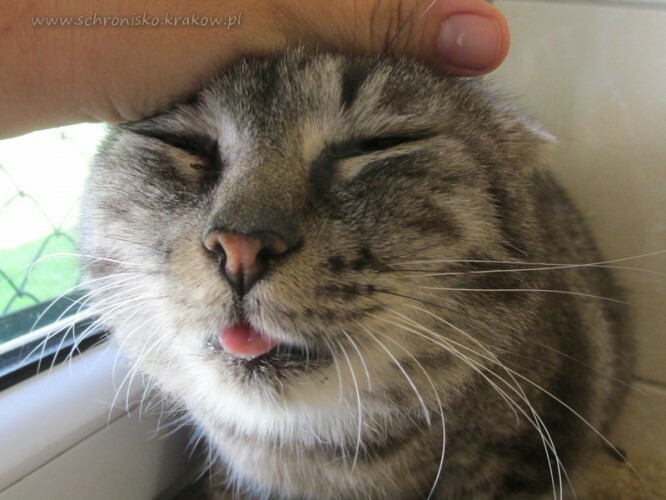 He loves being scratched under his chin, and he loves the company of people. Despite appearances, he does not miss “freedom” – he likes to see the world through the window, but he never goes out to the outdoor area for cats. He needs a patient and calm guardian. The shelter is open for adoption seven days a week from 10:00 to 14:00 and from 15:00 to 17:00. ← Ekstraklasa 2017/18: New season, new chapter for Cracovia? I am glad that there’s a shelter for homeless cats in Krakow. Cats make wonderful pets. In September 2005, a nine year old handsome, neutered, long-haired Norwegian Forest cat found me moving into a ground floor flat that was very close to his hiding place. He watched me from a safe distance as I carried my belongings into the flat. For the next three days he kept me under his observation. On fourth day he sat on the steps and mowed and I replied. When I opened the door he ran back to his hiding place. The janitor informed that he was abandoned by his previous young Norwegian owner when she moved to Bergen. On fifth day he came into the flat, sat on the floor and mowed. On sixth day he finished two portions of 100 gr. in a matter of seconds. He was starving. On seventh day, he was sleeping on my bed. The next week he made sure that I paid his veterinary bill for 2200 zł (for vaccination, de-worming, chip on his neck etc.). Within a fortnight Jethro (that was his name given by his former owner) became my Lord. I was his servant obeying his commands! He brought mice as present, made sure that no other cat trespassed his territory and took nap in my lap or my chest! In September 2012 he was diagnosed with chronic kidney (renal) failure. For the rest of his life he was on special diet (he hated to eat that bland food). Every evening I administered one Fortekor tablet that ensured functioning of his the kidneys (for two or three years) properly. I monitored his general health closely at home and the veterinarian examined him periodically. In March 2015 I took him to vet for check-up. She was pessimistic about his condition. On April 10, 2015 I took him to another vet as Jethro’s breath became irregular. On April 13, 2015 the vet took x-ray of his lungs that were filling with fluid. The vet said: “Death will come naturally in two months but it’ll be extremely painful for him.” I did not want Jethro, the abandoned cat who gave me unconditional love for 10 years, to suffer for next two months. The time has come for him to head for Rainbow. I held Jethro in my arms. As the kind, sympathetic Norwegian vet Christopher injected the deadly dose in his right hind leg I burst into tears. Those of you who are reading this, I have a request to make. If you don’t have a pet or thinking of having a pet, please head to a cat or dog shelter. Don’t buy from breeders. These abandoned homeless pets make wonderful pets. Or please donate, or take food to them. Now I work as volunteer in a cat shelter in Norway. Next time when I visit Krakow I will visit this shelter. Of course I will be taking food with me and there will be donation too.